Will this smartphone prove to be a pivotal role in bringing back the company in the smartphone game? We got the chance to spend some time with the device and this is what we think of it. Lenovo, after being silent for almost one year, has today announced the launch of a new smartphone in India. Dubbed as Lenovo K9, the smartphone comes with a price tag of Rs 8,999 and it will be available for purchase from Flipkart. This is the first Lenovo smartphone that comes loaded with not one or two but four cameras. There are two cameras situated at the rear and two cameras at the front. Coupled this with some interesting features like glass design, decent specifications and battery life. However, will this smartphone prove to be a pivotal role in bringing back the company in the smartphone game? We got the chance to spend some time with the device and this is what we think of it. Starting with the design first, the new smartphone from Lenovo comes loaded with a glass design, which surely gives a premium look. 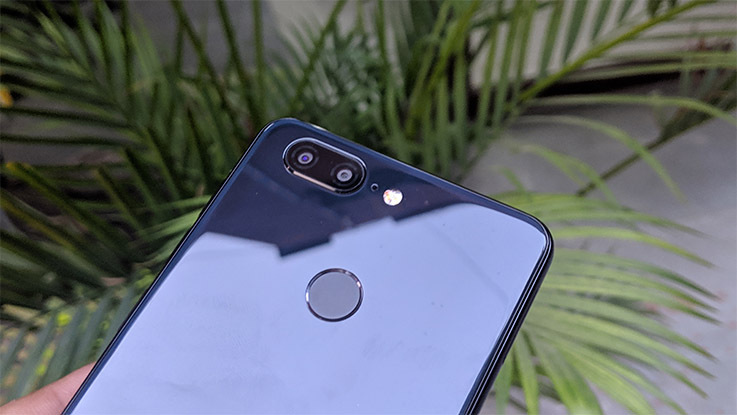 However, some might find a similar to the Realme 2 Pro, especially, when it comes to the back panel. 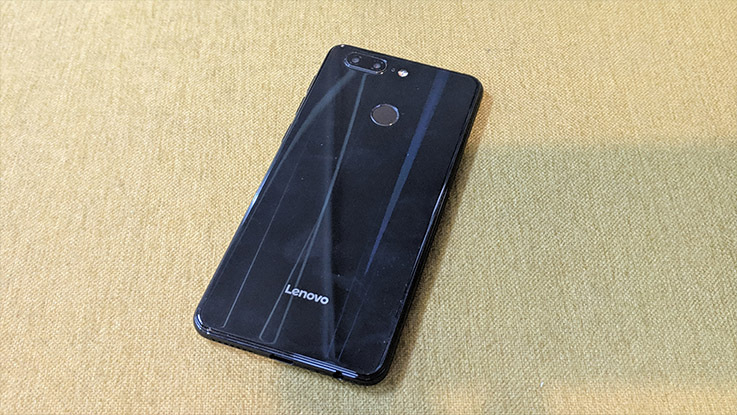 That said, Lenovo has not included a notch in this smartphone. That said, the smartphone still manages to give a pretty good look and it quite comfortable to hold in your hand. On the negative side, the glass panel attracts a lot of smudges, but thankfully, the company has given a silicon cover with this one. Briefing about ports placements, the front houses a large screen with minimal side bezels. The top of the front panel houses dual-selfie cameras coupled with an earpiece and soft flash. The right comes loaded with a power on/off button and volume controls, while the left comes with a hybrid dual-SIM slot. 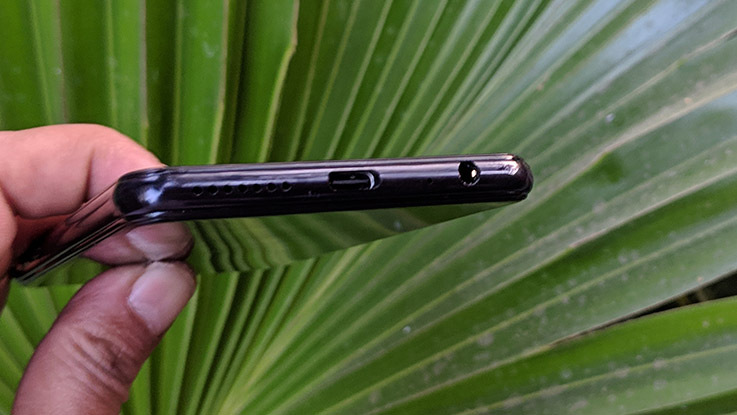 The base of the phone features a 3.5mm audio jack coupled with USB Type-C port and a speaker grille. The back panel comes with a horizontally-aligned dual-camera setup with LED flash and just beneath it, you will find a fingerprint sensor. 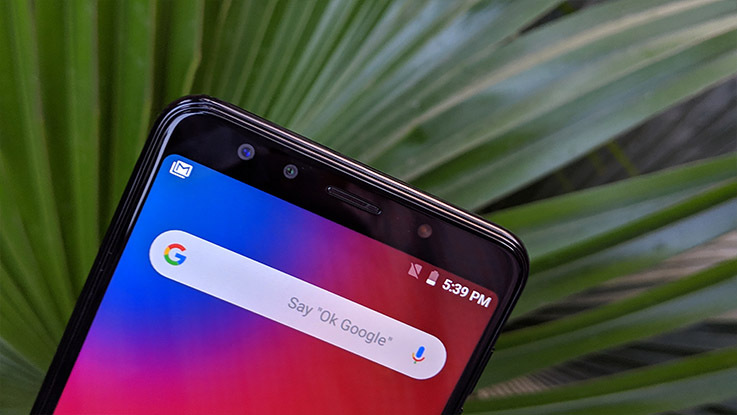 Moving to the display, Lenovo K9 is equipped with a 5.7-inch HD+ display with a screen resolution of 1440 x 720 pixels and an aspect ratio of 18:9 along with a 2.5D curved glass. In our initial testing, we found out that the screen looks decent as the colours were bright and viewing angles of the device look good as well. We will talk more about this in our upcoming review. On the hardware front, the Lenovo K9 is powered by an octa-core MediaTek Helio P22 chipset with 3GB of RAM and 32GB of internal storage. The memory can be further expanded up to 256GB via microSD card. Although it is too early to comment on the performance of this smartphone, if consider its sheer specifications, then it will face a stiff competition with the likes of Nokia 3.1 Plus, Realme 2, Asus Zenfone Max Pro M1 and Xiaomi Redmi 6. On the software front, the Lenovo K9 runs on Android 8.1 Oreo with the company’s custom user interface running on top of it. The user interface in this smartphone offers close to stock experience. You get an app drawer similar to what we have seen in most Android One smartphones. Then there are some gestures as well like three finger swipe to take a screenshot, double tap to turn on/off screen, start camera by drawing letter ‘C’, start browser by drawing letter ‘e’. We will talk more about this in our upcoming review. Coming to the camera department, the smartphone comes with four cameras out of which two are situated at the back and two at the front. The rear and front cameras come with a combination of 13-megapixel primary sensor and 5-megapixel secondary sensor with LED flash. The camera interface is quite simple and your video, photo, bokeh and pano modes. In our initial testing, we found out the phone was able to take some decent shots in broad daylight, though we are yet to test it out in different lighting condition. So, stay tuned with us for the detailed review of Lenovo K9. On the battery front, the Lenovo K9 is equipped with a 3000mAh battery and the company has bundled a 10W charger along with USB Type-C port, meaning that it would charge at a faster speed as compared to its micro USB counterparts. On the connectivity front, it supports 4G VoLTE, hybrid dual-SIM slot, Bluetooth, WiFi, GPS, GLONASS and USB Type-C port. A really awesome device powered by Mediatek. Worth the buy!